Honesty, Integrity and Professionalism is what Marla Zanelli & Associates bring to making your real estate dreams and needs happen easily and as stress free as possible. Whether buying or selling, it is our goal to be sure your level of education and comfort in the current market place will give you that comfort and make your transactions as smooth as possible. Over the years Marla has grown very fond of North County Real Estate's coastal towns and has extensive knowledge of many of the communities and is very capable to reach beyond. Some of those communities are: Del Mar, Solana Beach, Rancho Santa Fe, Encinitas, Cardiff, Leucadia, Carlsbad, SantaLuz, Del Sur, La Jolla, Bonsall, Fallbrook, Escondido, Valley Center, Vista, San Marcos, Rancho Bernardo, Downtown, Temecula. Marla Zanelli’s family background in the construction industry is what propelled her into the real estate industry in 1989. With an extensive career in real estate and having experienced the different market cycles over the course of the years, Marla is comfortable with helping clients make wise investment decisions. She believes the best way to handle her client’s investments is to help them invest as though the investment were her own investment. 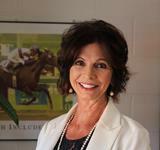 Prior to real estate Marla had a career with the blue blood thoroughbreds of horse racing. She learned to pay attention to details with the riding and training of such high class caliber animals. Her passion for this industry remains with her today and many of the horsemen and horse owners are her clients. Marla specializes in our high end luxury coastal properties as well as horse properties. She has sold everything from luxury ocean front homes to estates and ranches. With her extensive knowledge in the horse world, Marla created Equestrian Ranch Real Estate to assist the horse owners buying and selling their horse properties. Marla has a good comfort level around construction issues because of her family back ground in the industry. She helps her clients when they have decisions to make regarding preparing their home for the market. Recommending the construction experts who could help her clients comes easily with her pool of contractors to choose from. Marla has completed several of her own transactions where she bought a property to remodel and sell. Her sense of design and knowing what work should be done is an asset to her customers.